Allow us to welcome you to the world’s longest runway. If you’re seated on the left side of the aircraft, you can look out the window to see our guest, Jordan Polan-Clarke of Wistful Thinking, doing that circus. From the right side of the aircraft, you should be able to see the British version of our family, led by Bobo Dominic Toretto. And if you’re lucky enough to be traveling in one of our exclusive cars-that-get-launched-out-of-the-back-of-the-aircraft seats, buckle up! It’s once again time to talk about Fast & Furious 6, which is still (arguably) the series’s best installment (and for sure the one with the longest runway). In this episode, we discuss the movie’s most and least family moments, find out what member of the family Jordan is, and take a trip down memory lane to past movie watching experiences. Want to re-live past memories? 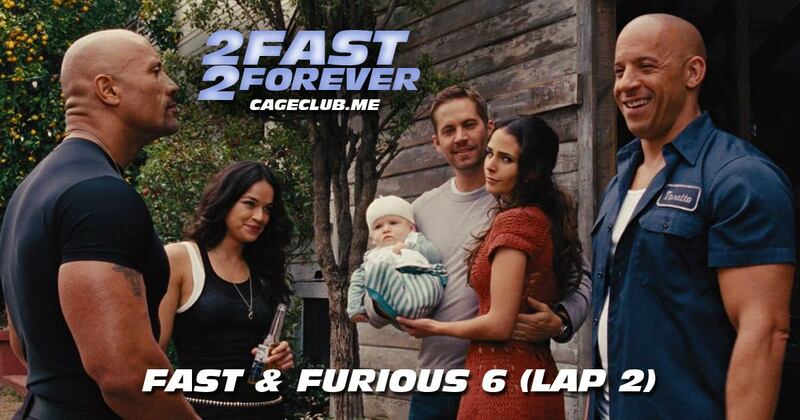 Here’s our Lap 1 episode about Fast & Furious 6.